Affiliate ledger rules are created to define the commission to be provided to affiliate on every order. 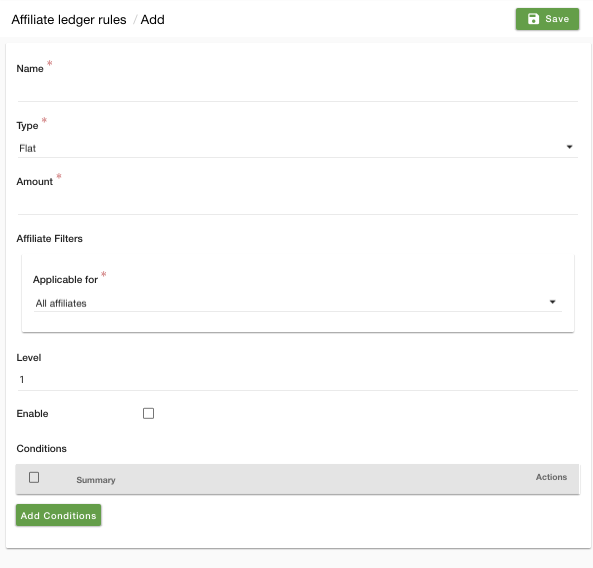 Multiple conditions can be specified while adding an affiliate ledger rule. 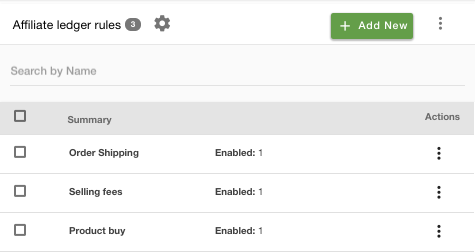 Go to Affiliates > Affiliate ledger rules section in StoreHippo Admin Panel to manage the rules to define the commissions for affiliates. Select the type of amount to be charged, it can be either flat or percentage. You can define a rule using affiliate filters for either all/specific/specific groups of affiliates. Define the priority level of the rule here. Higher the level of the rule, higher is the priority over other rules. Select the checkbox to enable the rule.